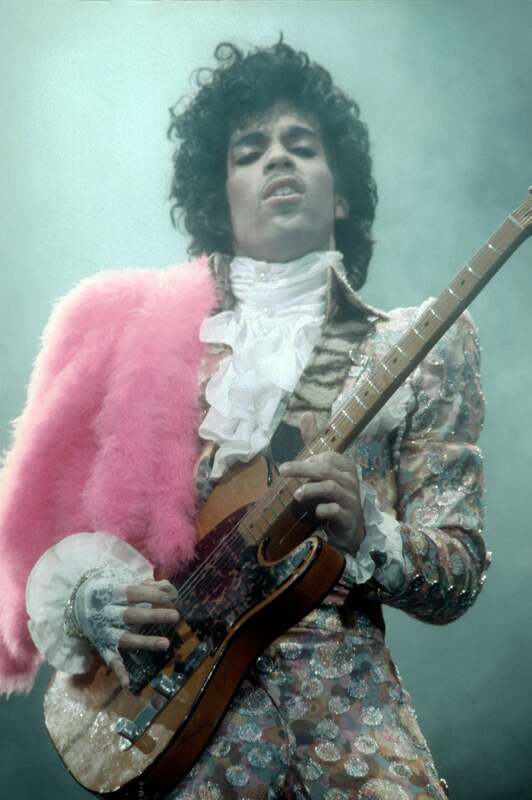 As we celebrate Prince's 59th birthday, we're taking a look at his undeniable impact on fashion. Never afraid to push the envelope, Prince's iconic style is just one of the many reasons we miss him. Take a look at the fashion moments we can't get over. 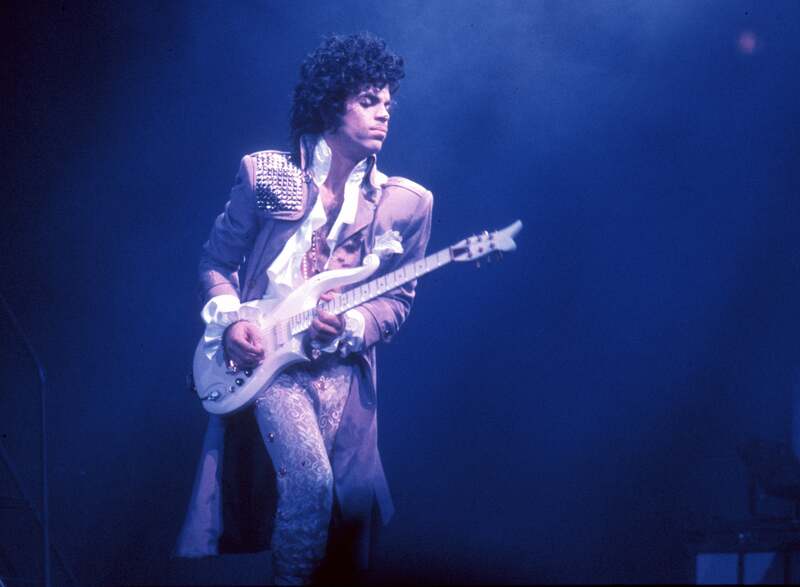 Since the inception of Prince's career in the late 70s, the artist not only pushed musical boundaries, but fashion as well. Elaborate pants suits, ruffled tops and fingerless gloves becoming his signature. Here, the fearless singer adds even more drama in a draped pink fur stole. 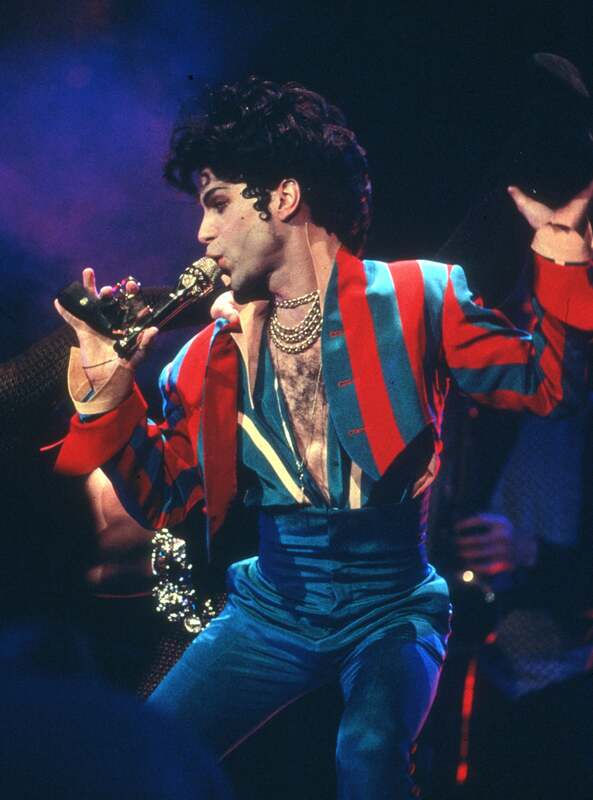 A close look at the star's signature ruffled style during a 1985 performance live at The Fabulous Forum in California. 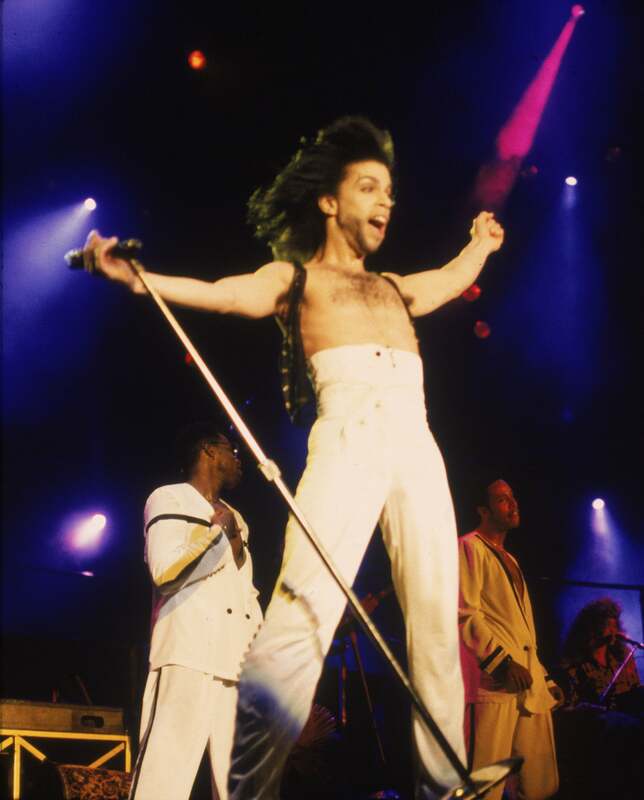 In quintessential Prince fashion, several wardrobe changes were in order during his California performance, including this jacquard suit and ruffled shirt topped with a fedora. In the 90s Prince may have sung about diamonds and pearls, but in the 80s it was all about ruffles and lace! 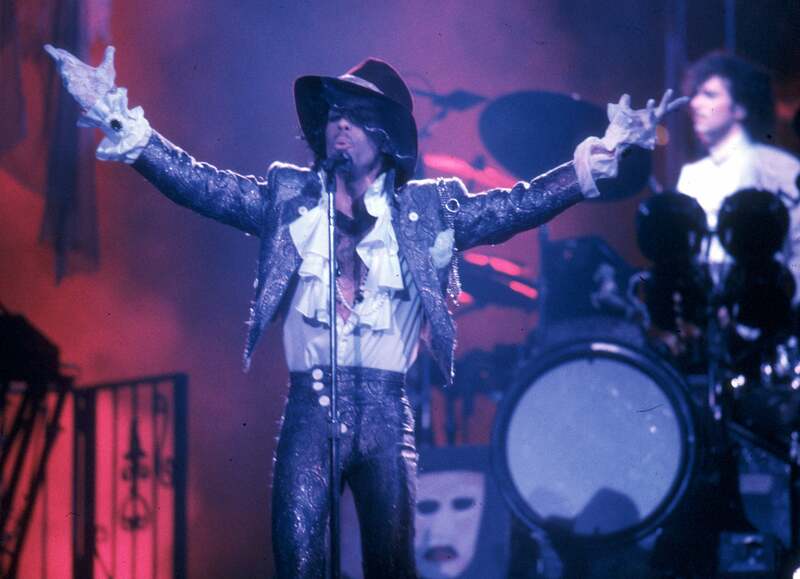 Another set during his California performance shows Prince in a different pair of jacquard pants, ruffled shirt and studded coat we'd definitely steal for our closets. 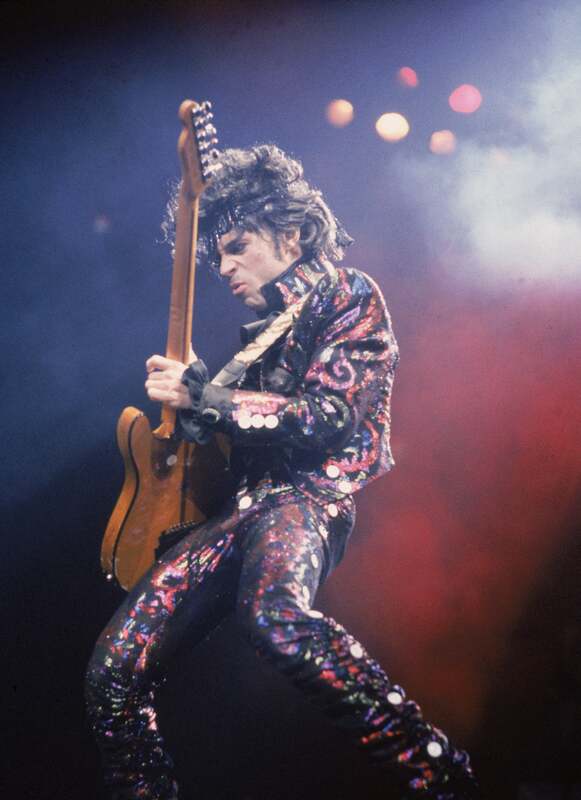 In typical rockstar style, Prince's suits were skin tight and embellished. The singer's look here, at a 1985 concert, channels a modern day Jimi Hendrix. 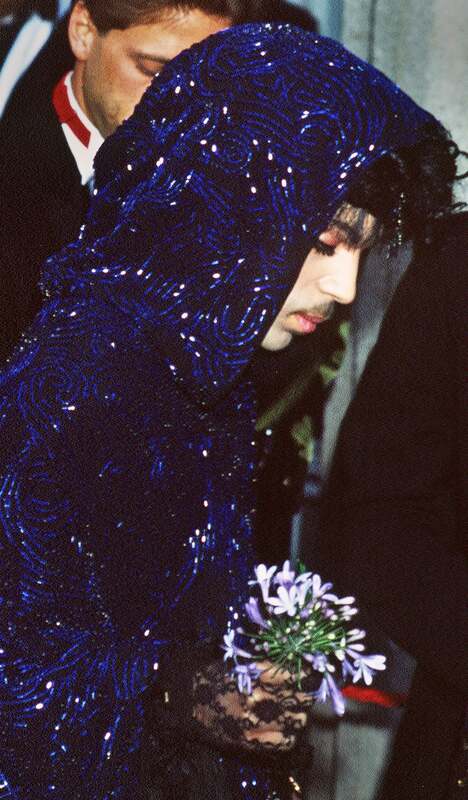 Prince wears many fashion hats, literally and figuratively. 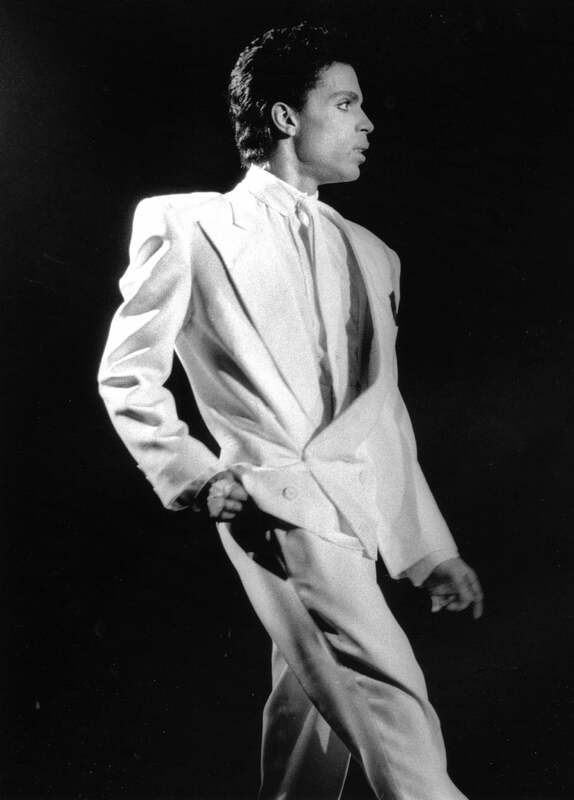 His London performance at the Webley Arena in 1986 shows a more toned-down, suave side of this smooth operator. 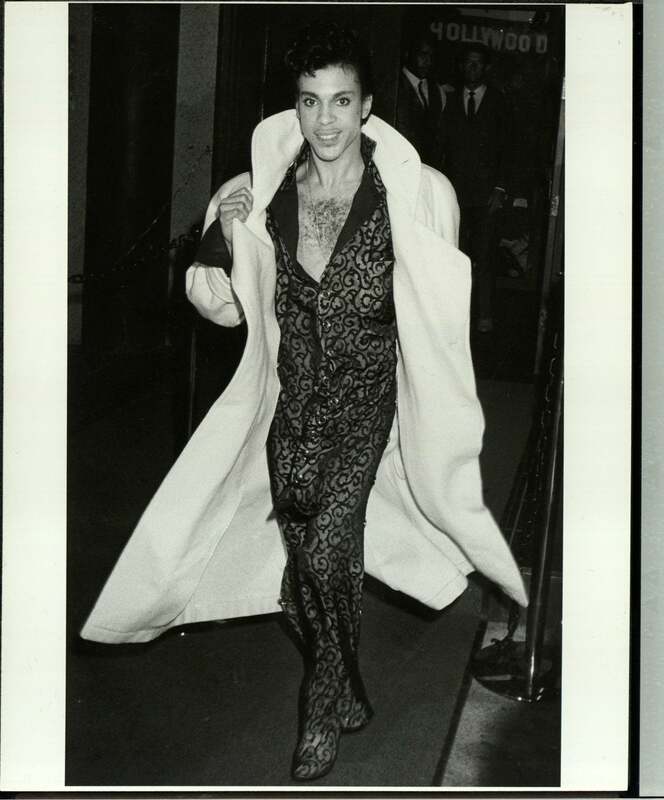 Prince's looks were all about the divine details, from his coif and patterned suits, right down to the perfectly matching boots. 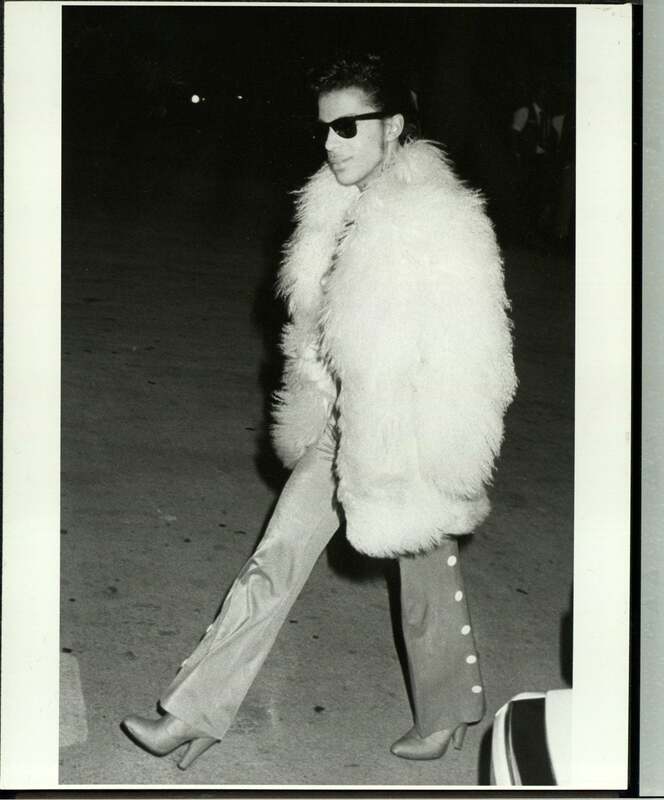 The musician had an uncanny air of cool and this image of Prince, circa 1985 -- swathed in a white Mongolian fur coat, wearing Ray Ban Wayfarers, bell bottoms and his signature heeled boots -- proves it! 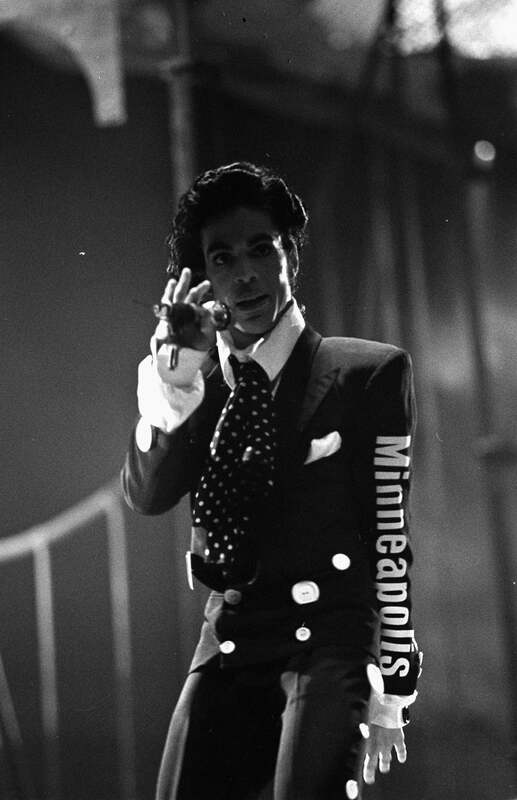 Here, the singer wears his heart on his sleeve in a black double breasted suit with his hometown, Minneapolis, emblazoned down his left arm. What we love most about the style icon? 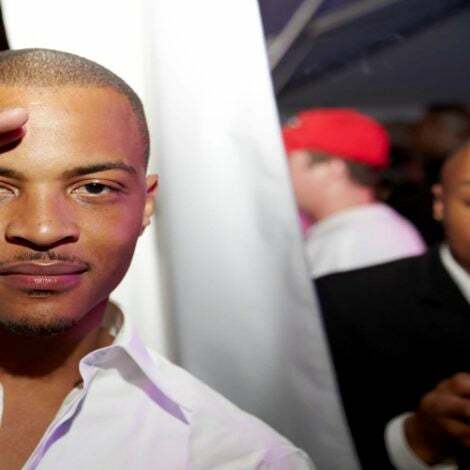 His knack for breaking all of the rules. In a high-waist pant and vest, the singer is truly a free-spirit. 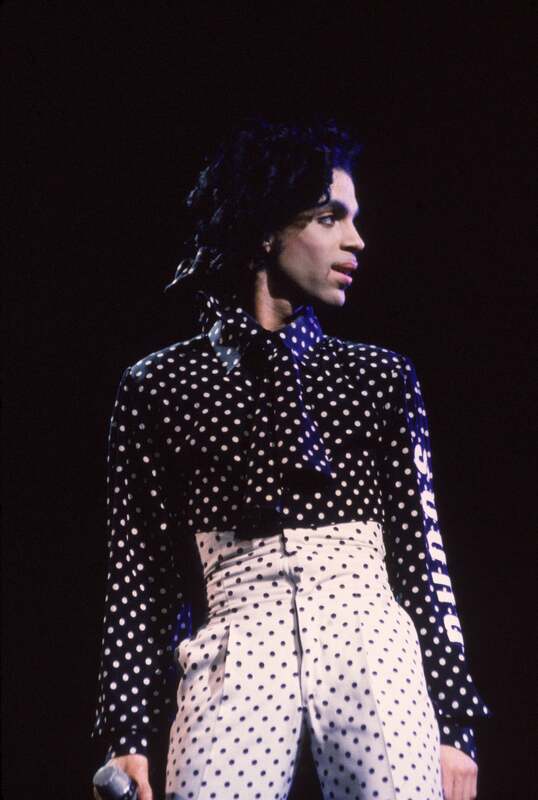 There was no place Prince was afraid to take it, and that clearly included polka dots. 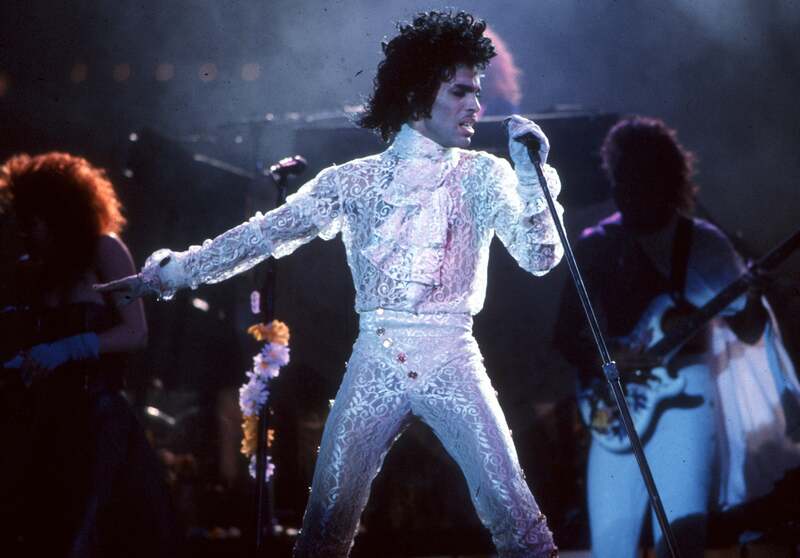 The singer donned a high-waist, black and white number during a 1988 concert with the word "Sound" written on his sleeve. 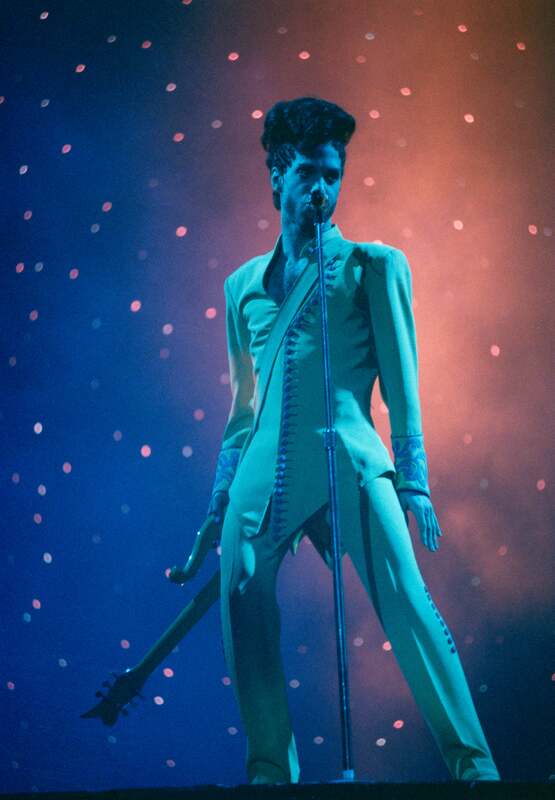 There was nothing mellow about Prince's yellow suit at his 1992 London concert. 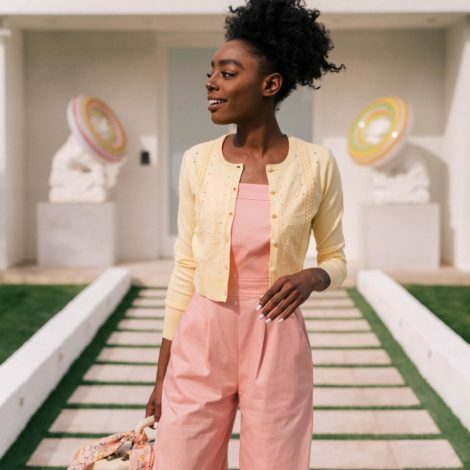 Cascading buttons down the front and sides and asymetrical design was a fresh update to his embroidered suits in the past. 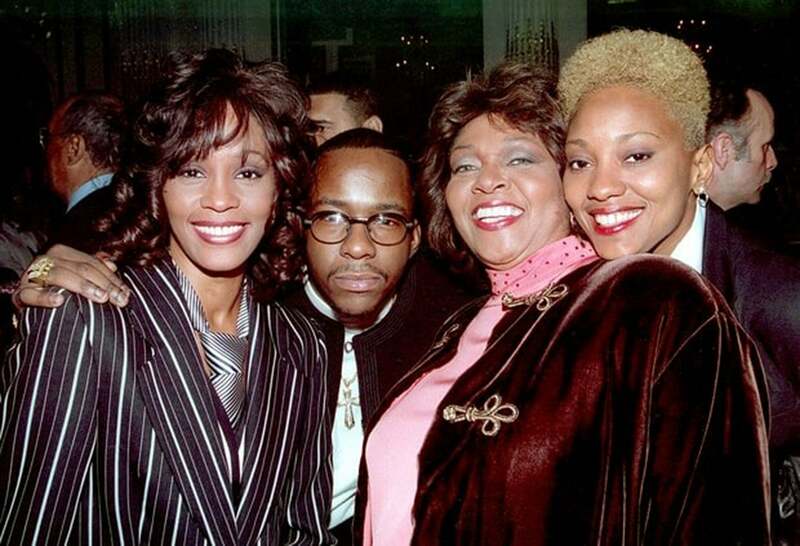 In March 1993, the star took the stage with The New Power Generation at Radio City Music Hall. 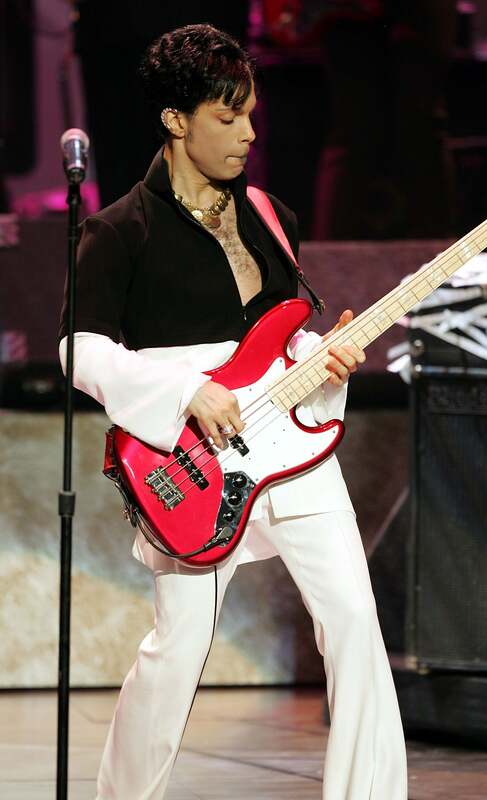 Bold as usual, the singer was clad in satin stripes and electric blue high-waist pants, giving fans the ultimate Prince experience. 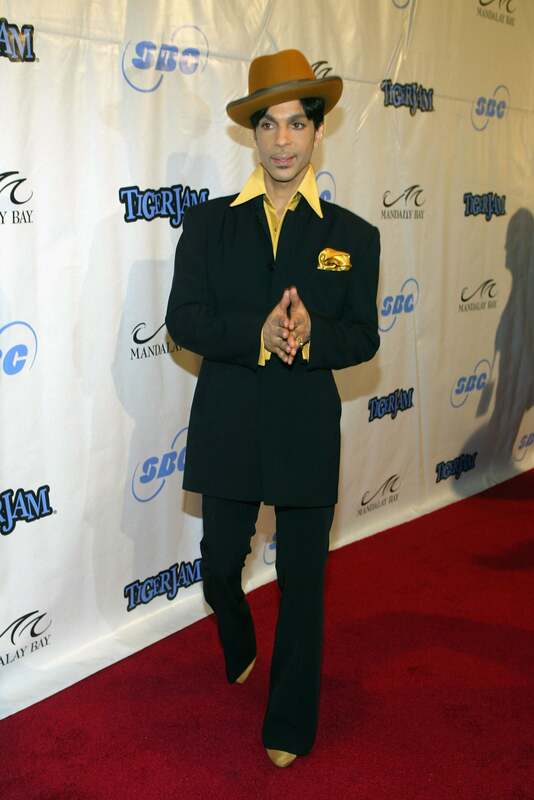 At a 2004 Tiger Woods event, Prince strutted to the beat of his own tune, paying homage to iconic 70s style in an oversized structured lapel shirt, bell bottom suit, felt hat and matching boots. 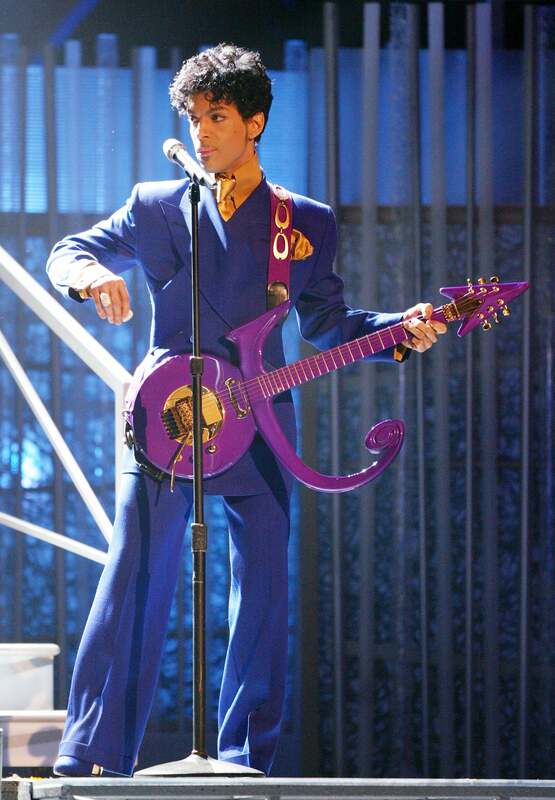 At the 2004 Annual GRAMMY Awards, Prince stays true to his original style, performing "Purple Rain" with Beyonce while wearing a purple bell-bottom suit and boots, and playing his matching guitar. 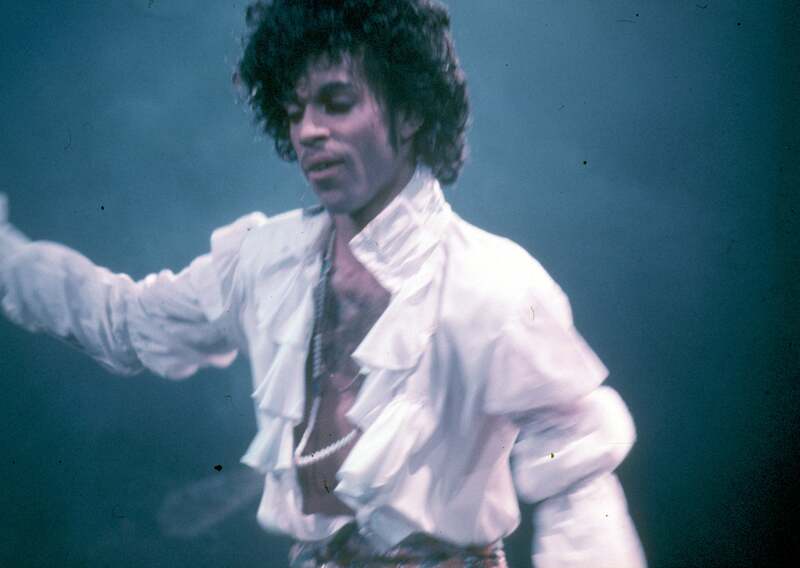 No one –– we mean no one, could outshine Prince. At the 12th Annual Elton John AIDS Foundation Oscar Party, the singer arrives with his then-wife Manuela Testolini, in a scarlet asymetric suit and matching high-heeled boots, of course. 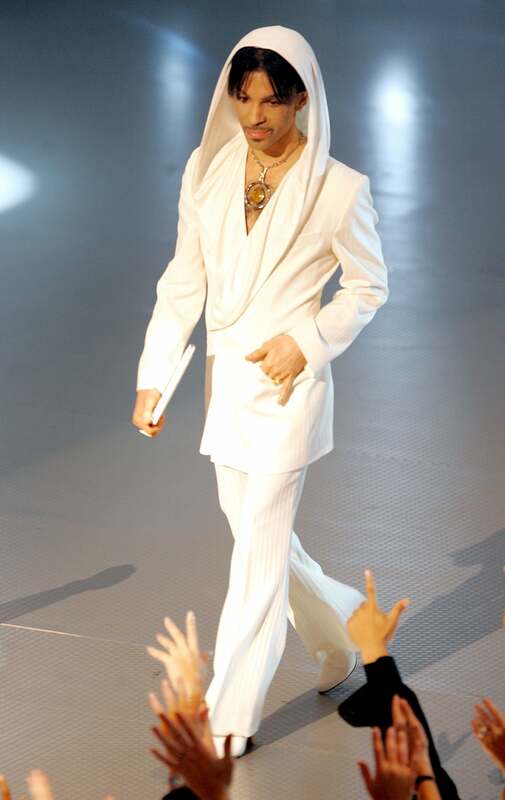 At the 2005 People's Choice Awards, the artist presents in this unforgettable dove white suit with a hood. Earlier on, the singer donned an even more dramatic hood covered in blue sequins. Black and white isn't a dull moment when Prince is sporting it. In a custom colorblocked suit, the singer rocks out at the 2005 NAACP Awards.